Cool Personal Checks that meet or exceed your expectation! Ordering cheap cool checks online is an easy and efficient way to get your product and save time when considering the time and travel expense involved traveling back and forth to your personal bank. Besides, delivery is a lot faster. Not only that, one saves about 50% off what a bank will charge. That is because they will mark up their purchase to the customer. By ordering with us, you cut out the middleman and get the same or higher quality for half the cost. 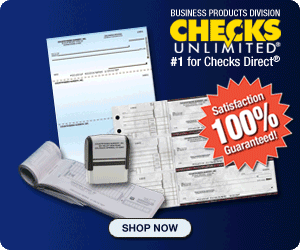 Because CheckDesignsArt.com does not deal with only one check manufacturer, but many other printer manufacturers, there are many more checks to choose from. These are dependable companies that have been around for a long period of time and are streamlined to deliver your order fast. There are many coupon codes available and usually extra savings are available as each individual printer has a special or a quantity ordering discount in place. There are a hundreds of cool check designs available and one is almost sure that they will find one to fit their taste. For animal lovers there are cheap checks for causes such as The Humane Society, The World Wildlife Federation, The American and National Wildlife Federation and a slew of other animal rights and animal or pet motif cheap checks. One can choose checks the reflect their hobby or even upload a photo from a favorite piece of art or anything important. Businesses often incorporate that into their check as an added way to identify their product or service. Designer Checks featuring cool check designs coupons are subject to change.